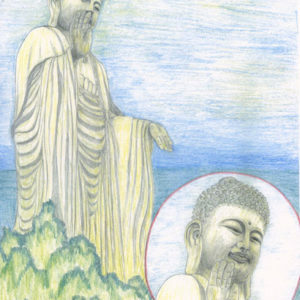 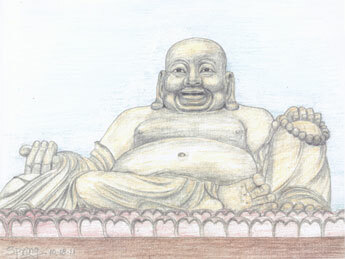 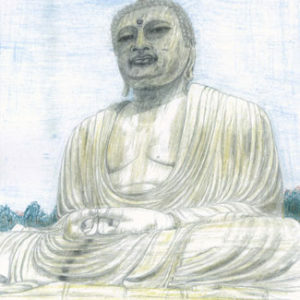 Home / Drawing of Buddha Statues, Prints, 8" x 11"
Here are my pencil sketch and colored-pencil drawing of Buddha statues around the world. 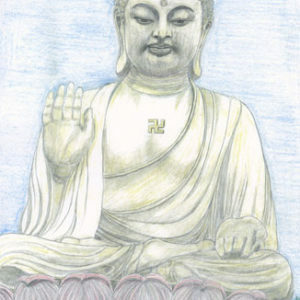 In the third century B.C.E., as Buddhism spread to different countries, Buddha images changed in style, making them relevant to people of different culture. 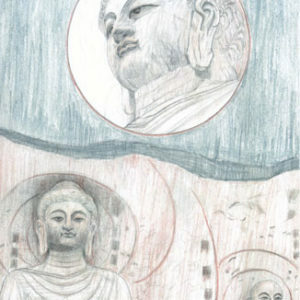 In China, Japan, and Thailand, for example, the faces of the Buddha have oriental features. 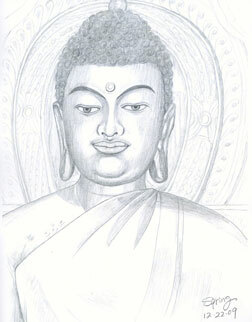 Likewise, there are experiments in the west to make Buddha images with western faces. 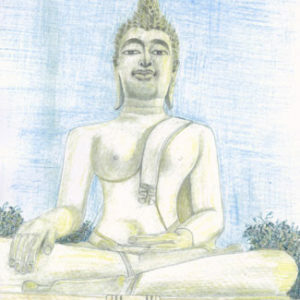 The point is not to make definite historical Gautama Buddha, but to embody in an image a universal teaching of meditative peace. 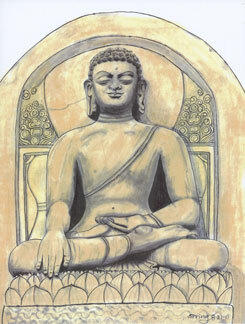 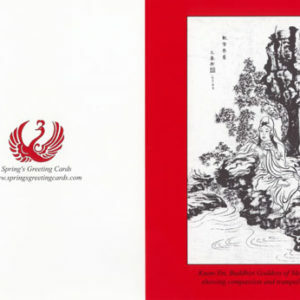 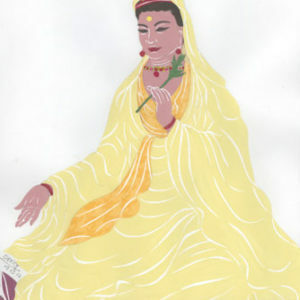 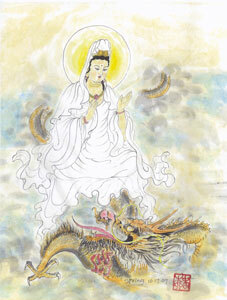 Buddha images are reminders of Gautama Buddha and his teaching. 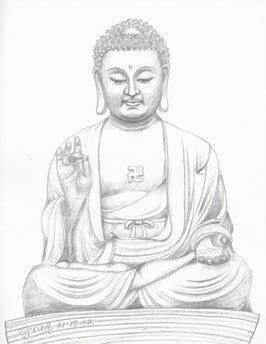 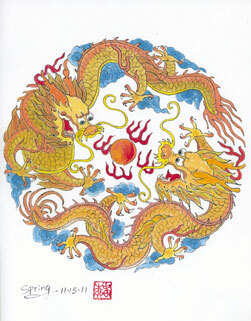 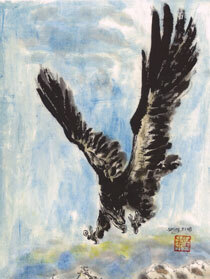 They serve as reminders of the possibility of enlightenment to Buddhists.